All of our chickens live free range! go to the Directions page. our hybrids, and especially ex-battery hens. Apologies I lost access to this site a while ago and only just recently got access back. I no longer sell Poultry, however I will leave this site up for informational purposes. Sorry for any confusion and or inconveniences. 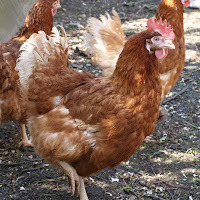 see our ex-battery hens page. we will email you when they are available.